Hong Kong’s design sector is booming. It may not make the headlines the way the city’s big banks and real estate conglomerates do, but trade organisations like the Hong Kong Trade Development Council and Technological and Higher Education Institute of Hong Kong (THEi) are doing sterling work promoting Hong Kong as a design hub. Debuting this year, DesignInspire is taking things to the next level. 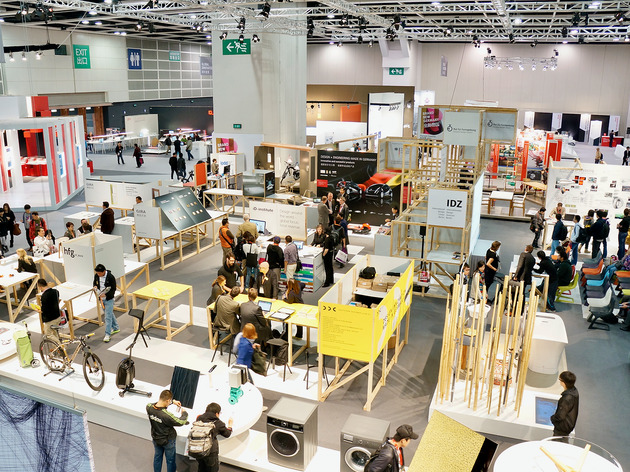 A new creative exhibition, the event promises to promote state-of-the-art innovation and designs from around the world by bringing together global creative elites and trend-setting design brands, associations and institutes to showcase their creations. There’s a lot to see over the course of the three-day event, so let us guide you through the essentials that you shouldn’t miss. 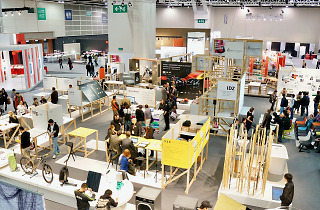 In the great tradition of world expos, DesignInspire is home to a number of international pavilions, all of which are showcasing a tremendous variety of innovative design works. In total, there are 11 countries and regions from around the world taking part, including partner-country Italy, Australia, Poland, Japan, Korea and Sweden, to name just a few.. The works on display range from architectural gems to the most impressive examples of branding and product design. Every part of the exhibition aims to demonstrate the way in which good design can make a positive impact on our world. When one thinks of a country with a great history of design, Italy is one of the first to spring to mind. After all, this is the land home to the Renaissance and names synonymous with brilliant design, from Da Vinci to Lamborghini. DesignInspire’s partner country this year, Italy is taking part under the theme ‘Italy Makes A Difference’. This pavilion will present more than 130 of the country’s latest design-driven innovations, with exhibits including the latest model Lamborghini Aventador S Roadster and a Ducati motor bike (pictured). A strong cultural aesthetic, a focus on user experience and a desire to make improvements in living quality all make Italian design unique. Witness this first-hand at the Italian pavilion. From its graceful Heian pottery to today’s fashionable clothes by the likes of Issey Miyake and Kenzo, Japan is a design powerhouse. The country’s design industry has evolved from one focused on the heavy industrial elements that dominated the initial post war decades to become a sector orientated towards making people’s daily lives more comfortable and efficient. In one section of the Japan pavilion the renowned Japan Building Material Association is showcasing the sparse elegance of washitsu – traditional Japanese-style rooms – interior design (pictured). Elsewhere, in a fusion of traditional craftsmanship and innovation production methods, skilled manufacturing companies from Tsubame-sanjo are displaying its highly refined articles, exemplifying Japanese design’s shift from heavy industry to more sustainable manufacturing. Scandinavian design is renowned for its minimalism and functionality. No country in the region is more famous for this than Sweden, the home of furniture behemoth Ikea. 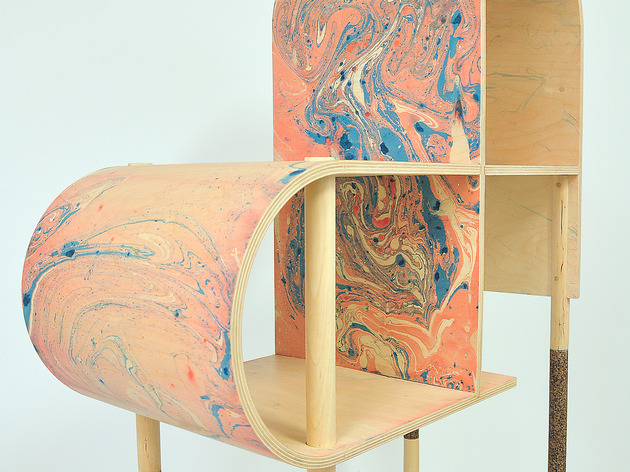 The country does much to support its young creatives, offering a range of awards for the best young designers that seek to help nuture their talent. Swedish designers strive to create and explore freely without the need to respond to market demands. As a result, it’s no surprise that the country has been responsible for various breakthroughs in the fast fashion industry. With a number of interactive installations, visitors to this pavilion will be able to get hands-on with designs. After their interactive fun, visitors are sure to leave armed with the knowledge that Swedish creavity isn’t just confined to Abba tunes and Ikea wardrobes. Ikea may be most people’s go-to for affordable furtniture but it’s not just Sweden that’s a powerhouse producer of well designed furniture – Poland is equally renowned in this area. The Eastern European country is one of the largest exporters of furniture in the world and Polish manufactures, such as Bizzarto, supply both its home market and the largest buyers in Europe and America. The country’s creatives are adept at highly sophisticated interior design and are famous for their diligence and accuracy when it comes to crafting goods. All will be on full display at this pavilion, which should shed well-deserved light on an underappreciated home of quality design. The above is just a flavour of what’s on offer at the inaugural DesignInspire. As well as other national pavilions to enjoy there’s the Urbanovation pavilion, which looks into how creative solutions could help resolve issues in our society with the aim of shaping happier and more efficient cities. In support of local designers, the HK Creative Force section will showcase a series of Hong Kong designs that are bursting with energy and imagination. And if all that isn’t enough, the DesignInspire shop section will offer visitors the chance to pick up limited edition items and to take mementos that should continue to inspire long after the event is over. December 7-9, Hong Kong Convention and Exhibition Centre, Halls 3DE, Wan Chai. Thu-Fri 9.30am-7pm, Sat 9.30am-6.30pm. Register NOW (Open to the public | Free admission): Click here.